b) Willow Grove Road (L5406) from its junction with the M11/N11 northbound carriageway to a point 16 metres south west of its junction with the M11/N11 northbound carriageway. c) The northbound on ramp at Junction 10, Barry’s Bridge (M11/N11) from its junction with the M11/N11 northbound carriageway to a point 84 metre south east of its junction with the M11/N11 northbound carriageway. d) The northbound off ramp at Junction 10, Barry’s Bridge (M11/N11) from its junction with the M11/N11 northbound carriageway to a point 32 metre west of its junction with the M11/N11 northbound carriageway. e) The Drummin West Road (L5040) from its junction with the M11/N11 northbound carriageway to a point 144 metre south east its junction with the M11/N11 northbound carriageway. f) The northbound on and off ramp at Junction 9, Glenview (M11/N11) from its junction with the M11/N11 northbound carriageway to a point 28 metre west of its junction with the M11/N11 northbound carriageway. g) Quill Road (L50292) from its junction with the M11/N11 northbound carriageway to a point 53 metre west of its junction with the M11/N11 northbound carriageway. h) The entrance road to Moor Park (L95111) from its junction with the M11/N11 northbound carriageway to a point 31 metre north west of its junction with the M11/N11 northbound carriageway. i) The exit road from Moor Park (L95111) from its junction with the M11/N11 northbound carriageway to a point 53 metre south of its junction with the M11/N11 northbound carriageway. 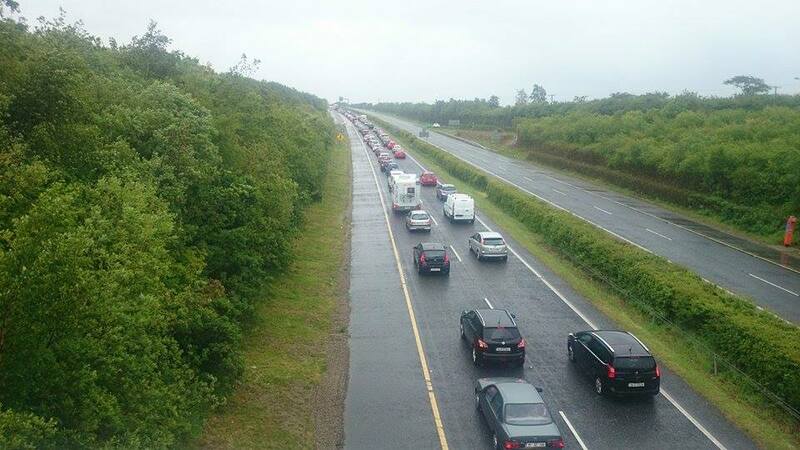 j) The northbound off ramp at Junction 8, Kilmacanogue (M11/N11) from its junction with the M11/N11 northbound carriageway to a point 16 metre south of the centre point of the roundabout at Kilmacanogue Village (R755). 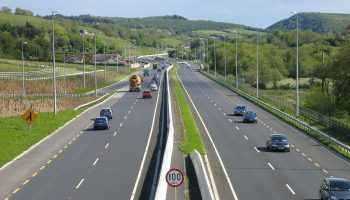 80 kilometres per hour shall be the Road Works Speed Limit on the M11/ N11 northbound carriageway from a point 61 metres south of its junction with the Willow Grove Road (L5406) to a point 561 metres south of its junction with the Willow Grove Road (L5406).